Waterproof mini bags are perfect for transporting wet or dirty items that you don’t want wicking through to other stuff! They’re also great at keeping important things together like keys, phones, and debit cards. Each bag has a strap with snap opening so you can attach it to a stroller or shopping cart to stay hands free while keeping essentials close. 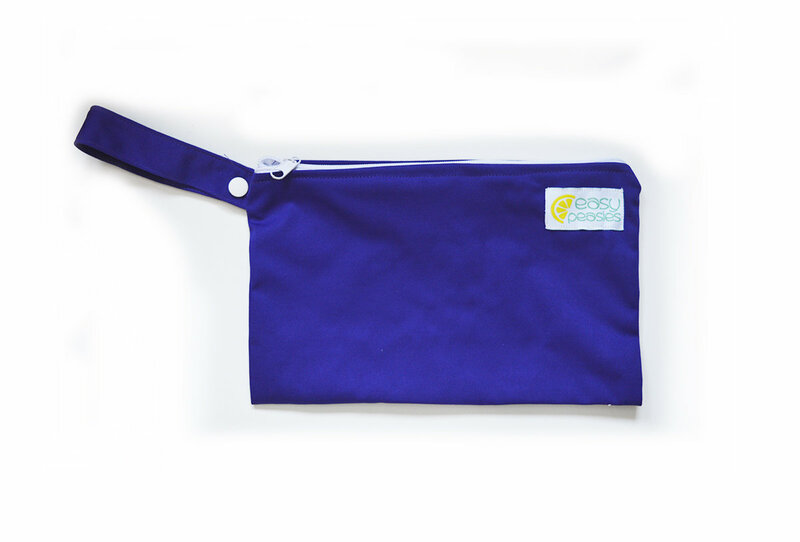 Use as a washable makeup bag, swim suit bag, snack tote, dirty diaper bag, menstrual pad bag, and more!